Brendan O’Neill is a Portfolio Manager and a Senior Research Analyst at Aristotle Atlantic. He has over 17 years of experience in the investment management industry. Prior to joining Aristotle Atlantic, Brendan worked as a Portfolio Manager and as a Research Analyst at Deutsche Asset Management. 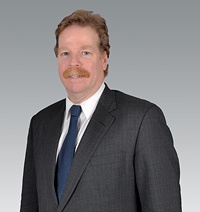 Brendan earned his Bachelor of Arts degree in Economics from Queens College, CUNY and his Master of Science degree in Finance from Zicklin School of Business, Baruch College. He is a CFA® charterholder.